Yes, I have to confess that I like to go find Wal-mart whenever I’m driving around the country. For one thing, it doesn’t matter where I am, I can always think of something I forgot and whatever it is, Wal-Mart will have it! 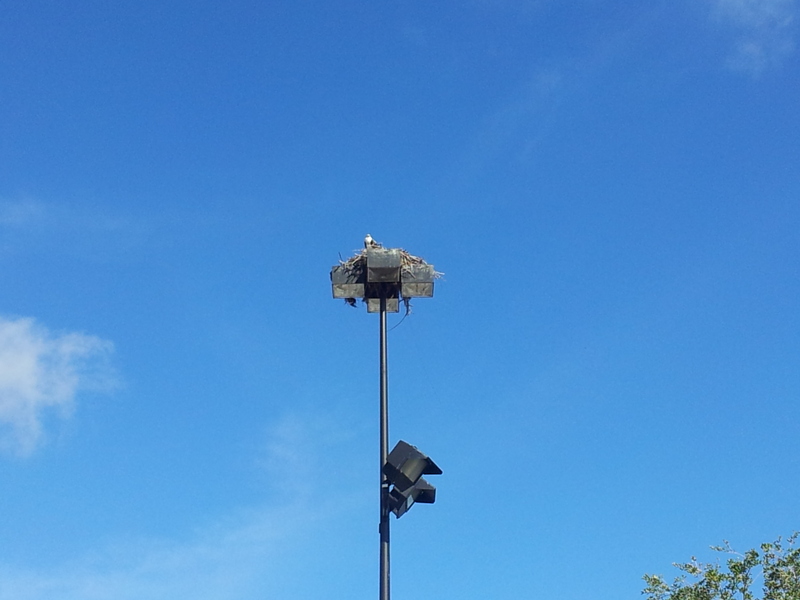 So here I was, walking into the Wal-Mart in Daytona because I forgot my night light, and I spied this eagle’s nest high on the top of the light in the parking lot. I guess even eagle’s like Wal-Mart.